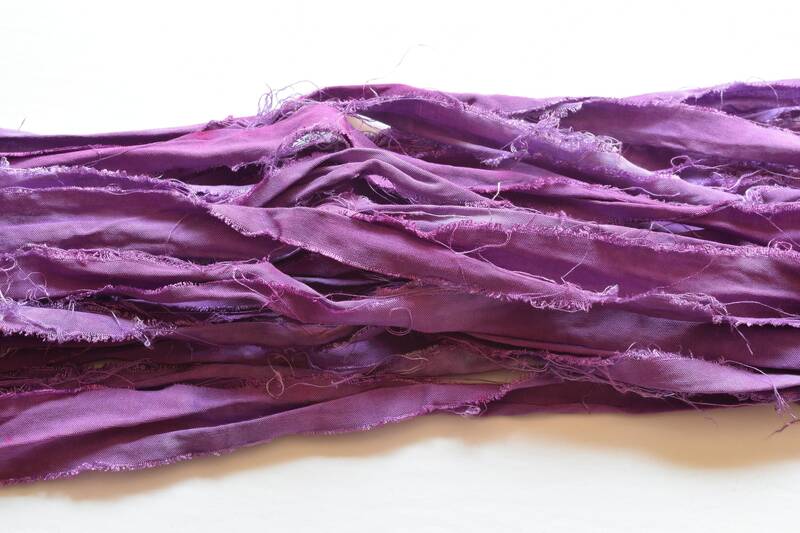 Hand Dyed 100% Cotton Rayon Cloth Ribbon. 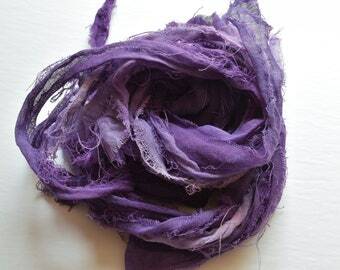 I use only high quality Procion Fiber Reactive Dye. 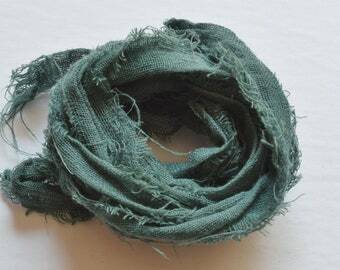 Hand cut to approx 1 inch width, 56 inch length, edges unfinished, frayed after second wash and dry, rustic, great for bracelet wraps or tassels! (See my other listings for how I used these to make Mala tassels). Rayon Ribbon, Hand Dyed, Frayed, 56 in. Black/Purple. Crafts, Fiber Projects, DIY. Back In Stock!